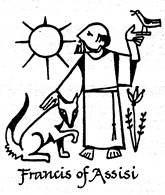 St. Alban's will have its annual Blessing of the Animals on Wednesday, October 5 at 5:30 p.m. in the circle drive in front of the church. Join us for what promises to be a noisy liturgy! 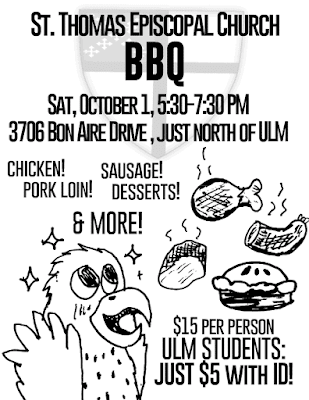 Please join the folks at St. Thomas' on the bayou for the 61st annual St. Thomas BBQ. 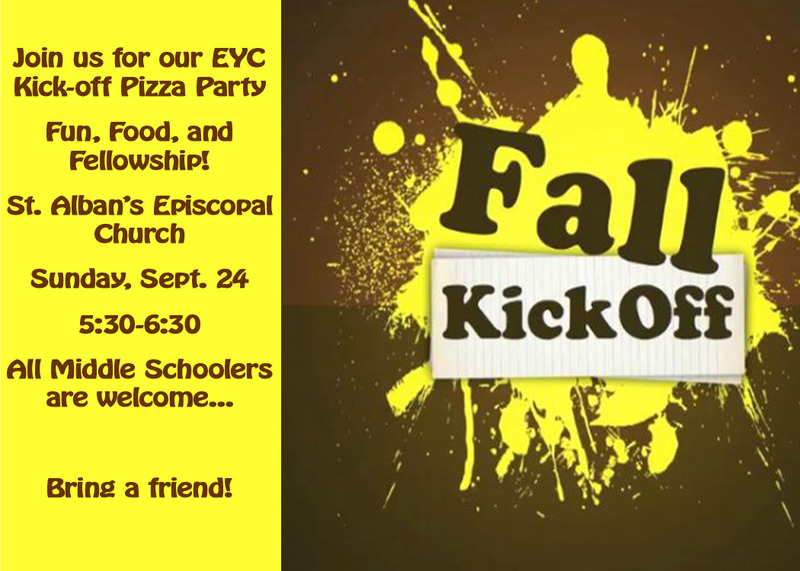 The event will be held Saturday, October 1st from 5:30-7:30 p.m. 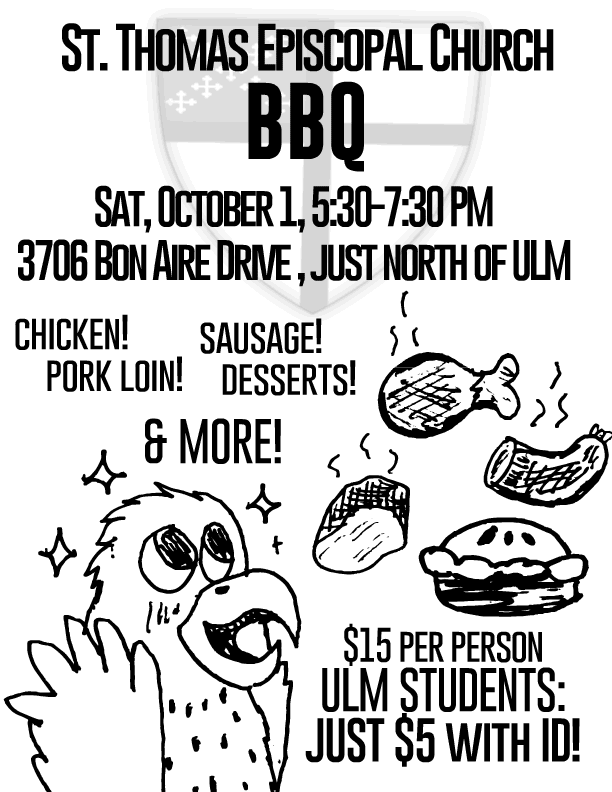 The menu includes chicken, pork loin, sausage, baked beans, potato salad, and homemade desserts - the fun includes music and a cakewalk. The cost is $15 per ticket or 5 for $50. Students with ID will be $5. Tickets can be purchased from the church or at the BBQ. All proceeds will go to our community outreach this year. This is an opportunity for good food, fun and fellowship. If you have any questions, please call and leave a message at 318-343-4089. St. Thomas Episcopal Church is located at 3706 Bon Aire Drive on beautiful Bayou DeSiard, here in Monroe. Our Presiding Bishop Michael Curry invites us to the Jesus Movement! 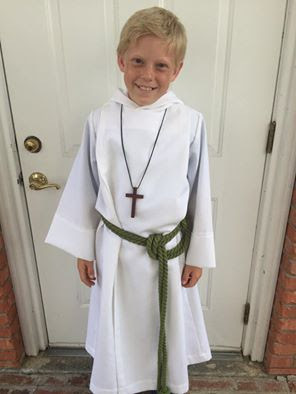 Unbridled joy from our newest acolyte! Join us as we celebrate the life and musical ministry of Dr. J.L. "Larry" Simmons at St. Alban's. The Burial liturgy begins at 1:00 p.m. on Saturday, September 10, 2016. A reception in McLean Hall will follow for family and friends. Until then, please pray the Simmons' family, and give thanks for Larry's life and all his gifts shared with us! 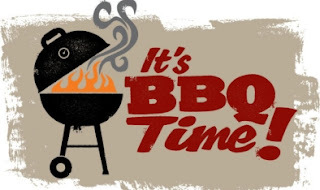 This Labor Day, weekend - even Monday - we will do what we we always do. Pray! Join us for Holy Eucharist at 8:30 a.m, 10:30 a.m.